I love a good puzzle. Crosswords, logic puzzles, geocaching, room escapes -- you name it, I'm there. Puzzles are not only a ton of fun, but they're so helpful in developing problem solving skills and logical thinking. Did I mention, they're a ton of fun? So today, I present to you three middle-grade novels, all imbued with a great element of puzzliness. An oldie but a goodie, THE WESTING GAME won the 1978 Newbery Medal. 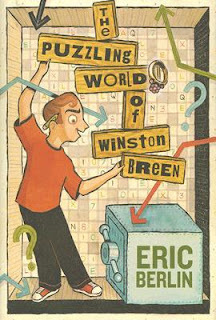 A puzzle book that's well-written enough to win the most prestigious honor in children's lit? Awesome! I read this for the first time as an adult, and I was wowed. There are a huge number of characters to keep track of, but if you treat it as a giant murder-mystery -- oops, I gave something away ... OR DID I? -- and enjoy the twists and turns of the codes within the last will and testament, you're in for a wild and awesome ride. Eric Berlin is a true puzzle fiend, working for a major publisher of crossword magazines. 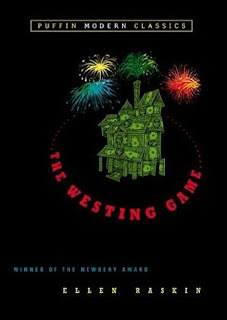 I've read dozens of puzzle-oriented novels now, and too often it's clear that the author doesn't love puzzles -- I mean, LOVE puzzles -- or doesn't quite understand what makes a puzzle fun for solvers. Not so with Eric! There are mini puzzles strewn through the book, which you can do on your own time, but you can also simply blast through the narrative. And there's a much bigger puzzle built into the story ... in the form of a secret treasure! An experienced puzzle-writer, Eric constructs the experience with elegance. I won't say more for fear of spoiling the experience, but when I got to the end of the book, I flipped through the entire thing several times, marveling at it all. A very recent addition to the puzzle-book oeuvre! BOOK SCAVENGER takes geocaching (concealing / locating small goodies via GPS tracking) to the next level, doing it with hidden books and mini-puzzles. Our young hero, Emily, is obsessed with a game sweeping the nation called Book Scavenger. 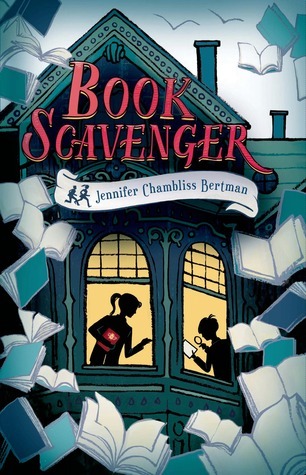 When dastardly deeds befall the creator of Book Scavenger just before he's about to release an audacious new puzzle hunt, Emily takes it into her own hand to figure out the secret to his new master puzzle. But can her clever code-breaking skills and powers of deduction beat the nefarious people also looking for the treasure? BOOK SCAVENGER doesn't have the same depth or breadth of puzzles as the other two books, but it's more than enough to keep a young puzzler occupied.